The following is a look at some of the best new smart home products and ways to integrate smart home automation to secure your home while also providing you with greater control and convenience. The battle for the home is upon us with Google Home now entering the ring with already established Amazon Echo (Hey, Alexa! ), which has become a staple in many homes today. The impact of the voice in the home cannot be overstated, as many in the security industry believe it is the future of home automation. As the article points out, many smart home products and residential security companies are integrating with these voice assistants, so voice control in the home will only continue to grow. Both Amazon and Google are also working feverishly on natural language learning using AI, or artificial intelligence, and machine learning to allow these voice assistants to understand accents, nuances and other subtleties in different voices, so the interaction is much more fluent and frictionless. No more yelling a command at Siri. The promise of AI in the home will help create even greater home automation, as your home becomes truly intelligent, learning your family’s habits, patterns and even needs. Made popular by the Ring, smart doorbells are becoming much more popular with many options available from already established home security equipment providers such as Honeywell. What’s great about these mini cameras, which fit in your door’s peephole, is the HD quality images and video you can get, especially when paired with the right automated lighting. Also driving their popularity is the ability to see activity and interact with people in real time, all from your phone. Everything from seeing when a package is delivered, catching a porch pirate in the act, or seeing that a guest has arrived early, you have complete control over the front door and porch area with one single device. Moving beyond the video doorbell, the whole video surveillance category has exploded over the past few years, as the quality of the cameras increases while the prices are coming down. What that means for the consumer, the homeowner, is more bang for your buck, including HD quality images, increased panning and zooming capabilities, excellent low-light performance, built-in analytics and storage, as well as connectivity to the cloud for additional storage. And with the ability to get notifications and alerts when motion is detected, for example, or check in on things or family members when you want, is invaluable. 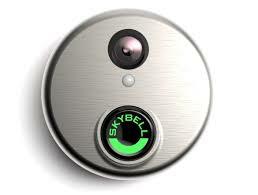 Another great technological evolution for homeowners is the smart lock. In addition to being able to control these locks remotely using your phone, there is the option of integrating advanced access control solutions such as facial or fingerprint recognition allowing for even higher levels of security. Companies like ASSA ABLOY and sister-company HID Global are leading the way in smart lock and mobile credentialing technology, which is another area we will see continued growth in the home and in the commercial setting, even in public transportation. New York City, for example, is working on adding smart turnstiles in all of its subways, allowing a subway rider to wave their phone to gain access. In the home, though, a homeowner can use his phone to remotely lock and unlock a door for a family member or even a worker coming to do a repair. Moving beyond security benefits and conveniences in the home, there are some incredible energy savings that can be achieved when you have greater control over lights, thermostats and blinds, especially from anywhere using a mobile device. No more worrying if you left the lights on or if you need to change a setting on your thermostat. You can also get alerts if someone changes the settings or if the temperature goes above or below a certain temperature. There are also a myriad number of sensors and smart home devices you can utilize, such as water/floor sensors in the basement or certain areas, heat sensors, C02 detectors/sensors, a sensor in your fridge to tell you when you’re low on milk, the list goes on and on. At the heart of the smart home, and smart home automation, is a smart security system, so it is important to work with a trusted security company that has a proven record of in your local area. A high-tech security like Moon Security can provide numerous smart home packages providing different levels of home automation tailored to your needs. Another upside of smart home security and automation is scalability, meaning you can start with a basic package then continue to build on your smart home system over time. Adjust smart thermostats – Save Energy! Interested in getting started with smart home technology, or taking your current system to the next level? Contact Moon Security for more info on a customized smart home security system.